Casumo is one of the most innovative casinos in the Swedish market. Since launching in 2012, they have managed to develop an excellent concept that includes a so-called “casino adventure” and what it means will be described in more detail below. 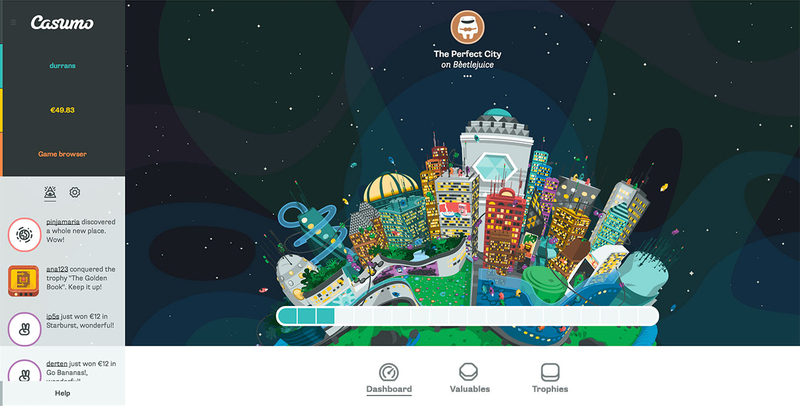 The design on the page is incredibly and very user-friendly. 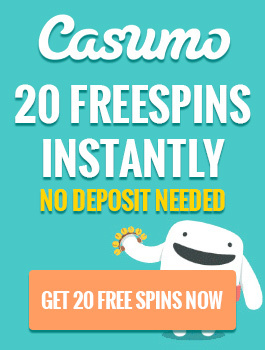 All new players at Casumo get 20 free spins instant at registration – no deposit needed. Casumo has one of the best welcome bonuses in the market. As a new player at this casino you can get €1200 to play for and 200 free spins. Before making your first deposit, you will receive 20 of the 200 free spins that you can use directly to see if you are comfortable and want to play at Casumo. The casino also has a very fun loyalty program, which they call for their casino adventure. This means that a meter on the left side of the page will be filled up as you play. Each time the meter is filled you will come to a new level with even better bonuses and benefits, and as there are 60 different levels, you can imagine how much additional benefits everyone involved in the casino adventure gets. 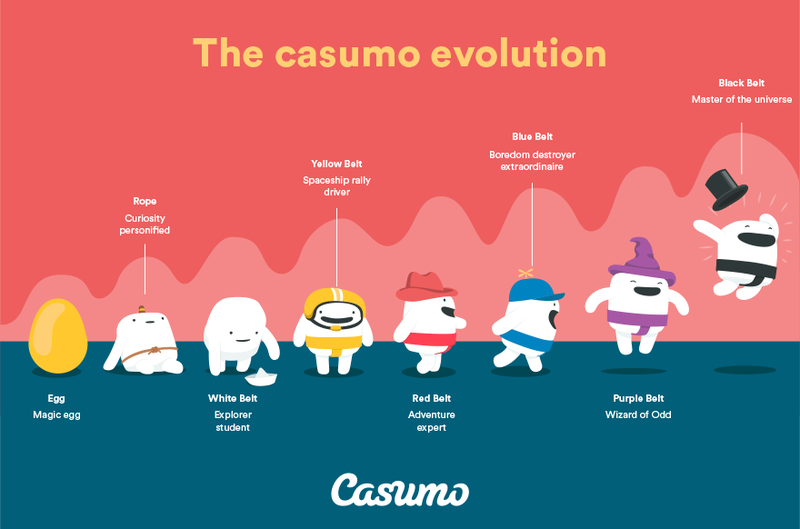 The name Casumo is because their mascot is a little sumo wrestler. The mascot has six different belt colours, where black is the best, and the better the belt you get, the better benefits you can enjoy. 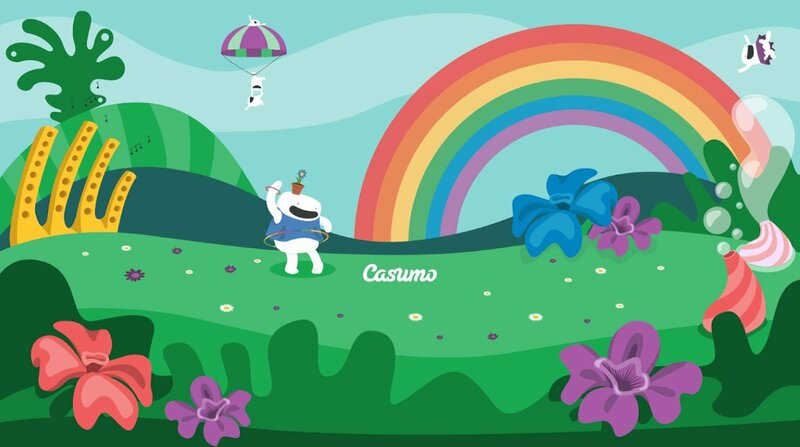 At Casumo there are over 200 different games to choose from, and they are divided into different categories to make it easy for the players to find the games they are interested in. There are also various lists of the most popular games at the moment etc. – a good place to look for inspiration and tips to play games that you might never have tried or heard of before. The games come from several developers like: Net Entertainment, WMS, Novomatic, Barcrest and Thunderkick. Providing games from so many different providers make the selection unique. Some of the most popular titles are Gonzo’s Quest, Starburst and Jack Hammer 2. Since Casumo is a casino that really cares for its customers, they have also chosen to offer some of the best deposit and withdrawal transaction methods. For example, you can deposit or withdraw money through VISA, MasterCard, Bank Transfer with Trustly, or Skrill and Neteller e-wallets. There is no charge for making deposits or withdrawals, and all withdrawals from the account will be completed within 72 hours. Casumo’s customer service is fast and efficient, and you can always visit their page with the most frequently asked questions and answers to find what you’re looking for. If not, you can contact Casumo via chat or mail between 10:00 and 01:00 every day of the week. Thanks to their unique concept of a “casino adventure” Casumo is not like any other online casino. You always want to go back and try to get to the next level and get a new belt colour so you can take advantage of the many benefits and bonuses. 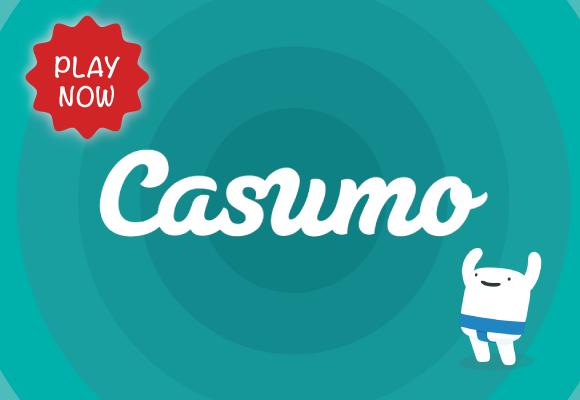 Casumo is very generous with free spins, cashback, competitions and other promotions. The games come from a variety of game developers, both larger and smaller ones, which guarantees a great variety. 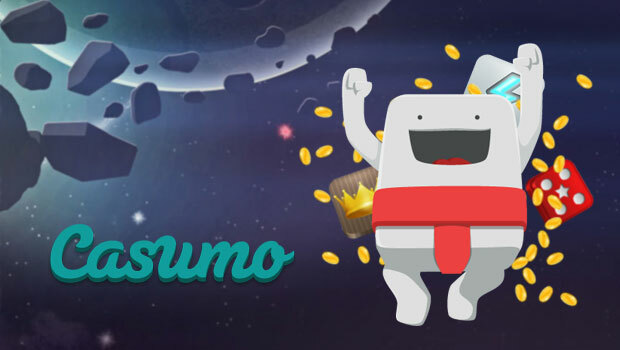 An important detail that really makes Casumo stand out is that they offer free deposits and withdrawals, unlike many other online casinos on the market.